Korea may not immediately spring to mind when planning a trip to Asia. Yet its mix of culture, tradition and natural beauty make it an ideal travel destination. From hiking stunning mountains to sampling the delicious cuisine, there is something for everyone here. 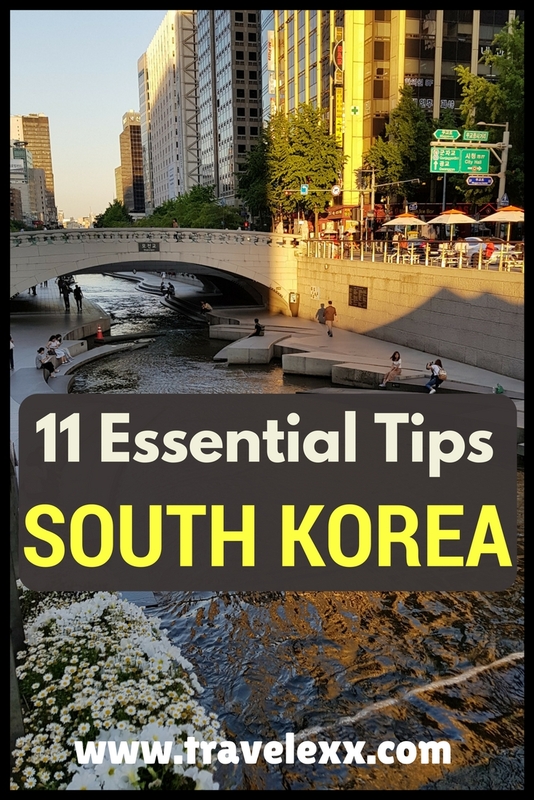 I’ve put together some essential tips for first time visitors to Korea in a handy travel guide following my recent trip to the country. 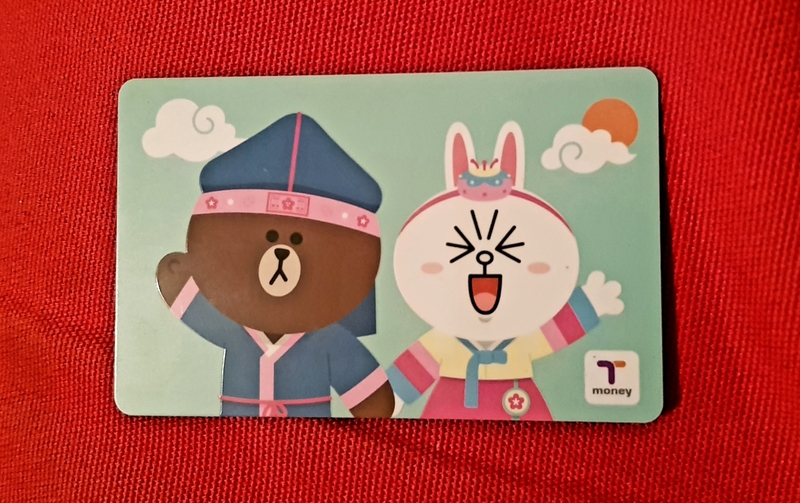 The T-Money card is a rechargeable smart card that allows you to use public transport in Korea. It can be loaded with value and used in different parts of the country. You can grab it in the convenience stores bearing the T-money or Cashbee logo or subway stations. The fact that you can use the card on subway systems and bus routes around Korea does make a really good investment and saves you from fishing for change all the time. Especially as it’s not always clear how much a single fare is – good luck figuring that out if a bus driver doesn’t speak English! It’s really easy to use and very convenient as it gives you discounts on travel. If you are flying into Incheon airport, you can grab a card at a convenience store just after arrivals. For more info and to see where you can buy and use the card, visit this website. WiFi is pretty widespread in Korea with plenty of cafes and restaurants offering free internet for customers. You can even connect at subway stations and at various places around cities. The sheer amount of coffee shops in Korea also means that you are never too far away from Internet. However, connections can be patchy and require confusing sign up procedures. I definitely recommend having internet in Korea – it comes in useful looking up directions or essential information. Subway systems in cities also have signal underground so it’s a great way to pass time during travel too! WiFi Router – You can rent a small pocket-sized router which will give you your own portable hotspot for a daily fee. Reserving the device online seems cheaper as otherwise you get charged an additional fee (that’s how I understood it anyway – do let me know if that’s not the case!). You may need to pay a deposit for a device that will need to be returned before you leave Korea. Also remember you will need to charge it regularly. Phone rental – If you don’t want to use your phone abroad or it’s not unlocked, you can rent one! The phone will come ready to make calls, send texts and use the Internet. You will be charged at the end of your rental based on your usage. Prepaid sim – My favourite option is the tourist sim offered by KT. You can choose between a normal sim which includes minutes, texts and data or a data only option. They come in 5, 10 and 30 day varieties and just slot into your own (unlocked) phone. Instructions are easy to follow and you can be online in minutes. Use your existing plan/data for a daily fee – Some providers give their customers an option to use their plan abroad for a set daily fee. While I usually prefer this option, Korea wasn’t on the list of countries supported by my provider. Check with your network before travelling! There are various companies offering these services but I found KT to have a wide range of services at competitive prices. Visit their website for more info – https://roaming.kt.com/rental/eng/main.asp. Korea has a comprehensive public transport network with buses, trains, ferries and planes linking most parts of the country . It’s an easy and affordable way to get around – Korea is also pretty small so distances are not great! This means that you spend less time travelling around and more time seeing the country! So grab your T-money card and explore! Train – fastest and easiest way to get around. KTX trains link major cities and it’s possible to get from Seoul in the North to Busan in the South in under 2.5 hours! Tickets are usually available at stations however if you are on a schedule, it may be an idea to book in advance. Use this site for bookings and checking train times. If you are going to be taking multiple trips, it’s possible to get a rail pass. Unlike the rail pass in Japan, however, this isn’t as essential a purchase as the train network isn’t as comprehensive and individual tickets as expensive. 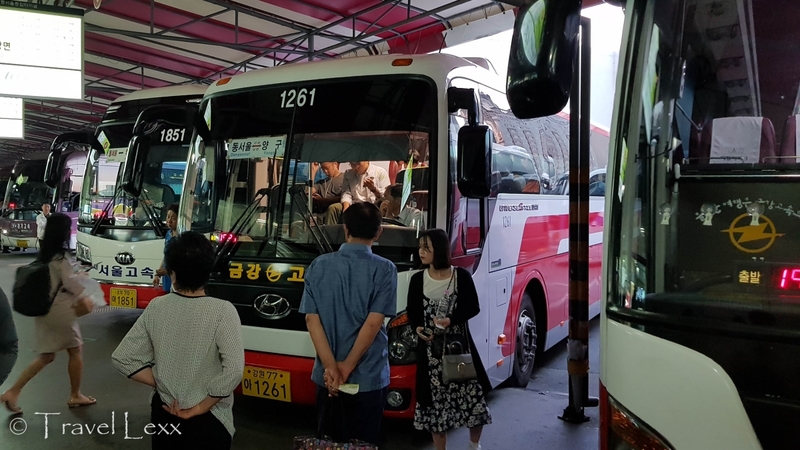 Bus – I’ve spent quite a lot of time on buses in Korea. It’s a surprisingly comprehensive network with comfortable, air-conditioned buses that are punctual and regular. While bus stations tend to be located further out from city centres, they are usually quite easy to get to and tickets are CHEAP. Stations usually have plenty of shops to buy snacks for the journey and staff at ticket offices do a good job explaining your ticket to you even if their English is basic. Ferry – ferries link mainland Korea with various islands including stunning Jeju Island. It’s even possible to catch a ferry to Fukuoka in Japan in just 3 hours. While I didn’t take one on my recent trip, ferries remain a cheap albeit generally slower way to reach some parts of the country. Plane – internal flights in Korea are cheap and are a great way to get to places quickly. You can reach Jeju Island from Seoul in just 1 hour and from Busan in just 30 mins – this is one of the more popular routes. However, I wouldn’t recommend flying between mainland destinations – train and bus alternatives are very competitively priced and you would be reducing your carbon footprint. Having said that, it’s an easy way to get around. Popular airlines include Eastar Jet, Air Busan and T’Way. As anywhere you travel, knowing a few key words and phrases will go a long way in endearing yourself to the locals and making transactions and interactions easier. 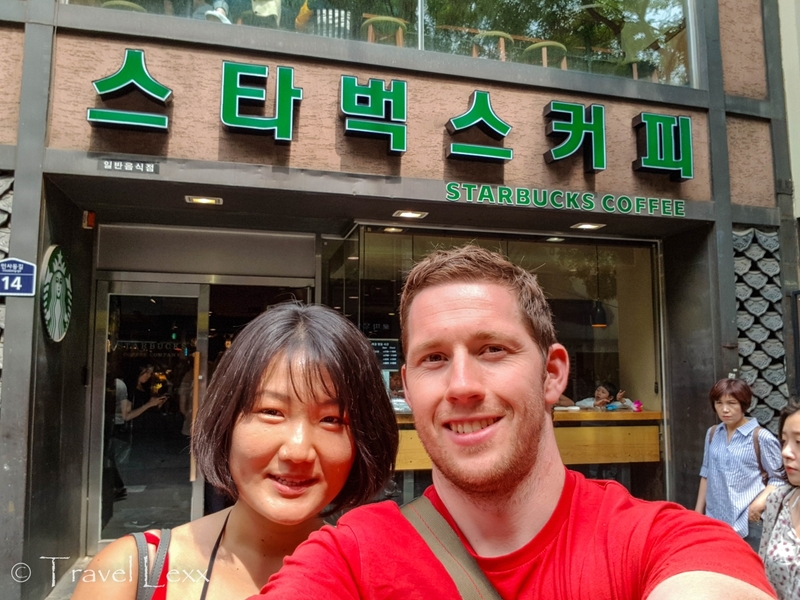 In Korea, people seem genuinely pleased to hear foreigners speak their language so it’s an easy way to score a few brownie points. “annyeong haseyo” – Hello. You can really use this greeting at any time of day and night. And it even works as a “goodbye”. Great word to remember! Annyong on its own is a more informal “hi”. If you wanted to go the extra mile, learning the Korean alphabet, hangul, is easier than people think! Created in the 15th century by King Sejong, it’s possible to learn the alphabet in less than an hour! Check out this site for a handy comic that tells you how! Most convenience stores in Korea are 24 hours and they are everywhere. 7/11, GS25, CU, Ministop are just some of the options you have. Even in smaller towns around the country, you are never too far away from a reassuring and welcoming glow of a convenience store. You can grab snacks, drinks and even prepare a hot meal. Grab one of the many instant options from the shelf and then use a microwave or hot water machines on site – voila, dinner is served. Many branches even have seating so you can eat without leaving the store! Rubbish bins (trash cans) are scarce. Like, seriously, there aren’t many around. Just like in Japan, finding a bin is like stumbling upon a goldmine. Even in cities, you will often walk around for ages without finding one. I once carried 4 empty water bottles around with me because I couldn’t find any bins even in a built up area. Yet, just like in Japan, the streets are really clean. Regardless, make sure you take all your rubbish with you – don’t litter and just do a little celebratory dance when you do find a bin! 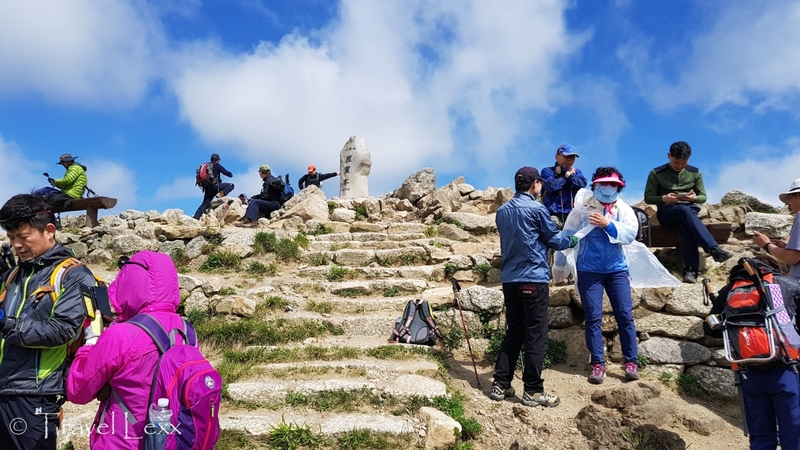 Korea is great for outdoor pursuits – hiking is almost like a national sport here and trying it out will get you among the locals and demonstrate their hospitality. You will get friendly hellos on the trails and don’t be surprised when people offer you snacks to share! 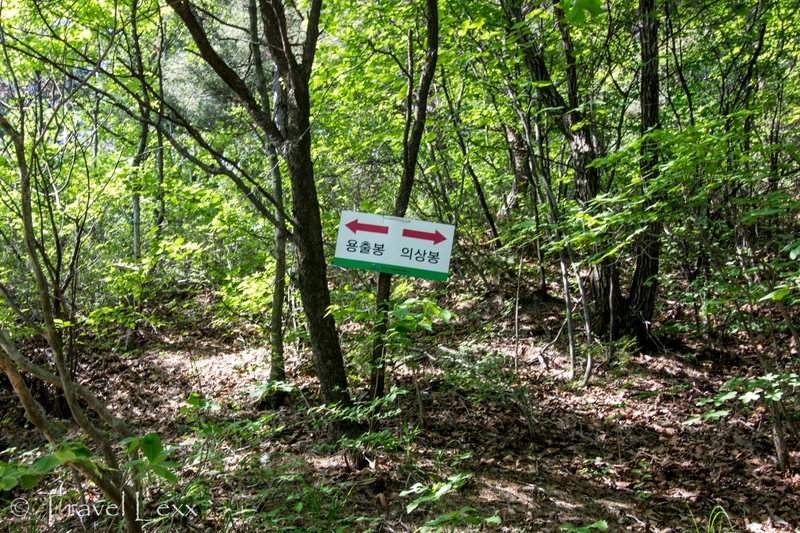 If it sounds like too much effort, there is a national park practically in Seoul with trails of varying difficulty. Many other cities also have easily accessible hikes and trails. So you’ve got no excuse not to give it a go! Trying all the amazing food while travelling is a huge part of the experience. Korea doesn’t disappoint in this regard. The food is amazing – it’s varied, delicious and there are loads of things to suit all tastes and budgets. From street food to BBQ restaurants to fried chicken and beer joints, there is just so much to try here. 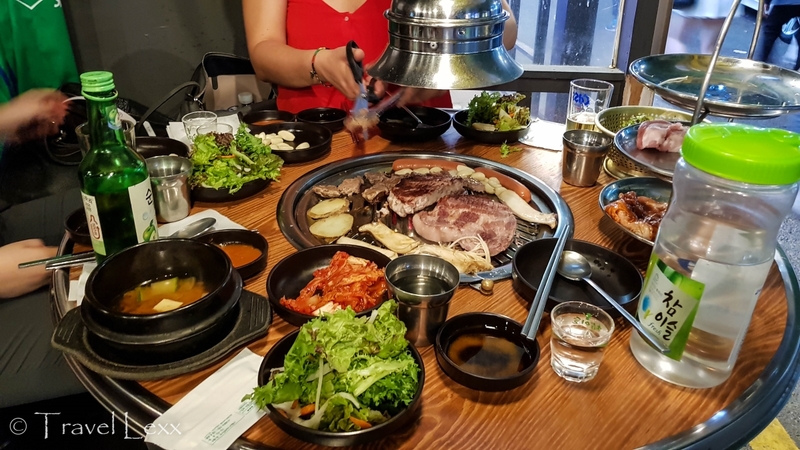 Different regions are also known for their specialities – Sokcho is famous for its seafood, Jeonju for its bibimbap while trying Duechi Guksu pork soup in Busan is a must. It’s generally pretty affordable too which is a bonus as you’ll want to try it all! Even if there are no English menus, you should generally be able to work out what you are having through pictures or asking the owners. You may have to point at times and not always know exactly what you are eating but you won’t be disappointed. Tip: The tourist information desk at Incheon Airport has a really handy picture dictionary/phrase book which allows you to point at stuff when interacting with the locals. I recommend grabbing one as it will definitely help when ordering food or pointing out any allergies! You gotta love the Korean ajummas and ahjussis (older women and men respectively). They are stronger than you think, will push you out of the way, jump ahead in the line you are in and beat you to the top of the mountain. All while blinding you with their colourful clothing. Just let it slide and let them do those things. Because they will anyway. Korean culture is a sharing one. Hike up a mountain and there is every chance the locals will share their food with you, give you a snack or a warm drink. It’s always a good idea to bring stuff with you to share back. The same goes for eating out and drinking. People generally order stuff to share rather than individual meals. Embrace it and enjoy the social nature of the culture. 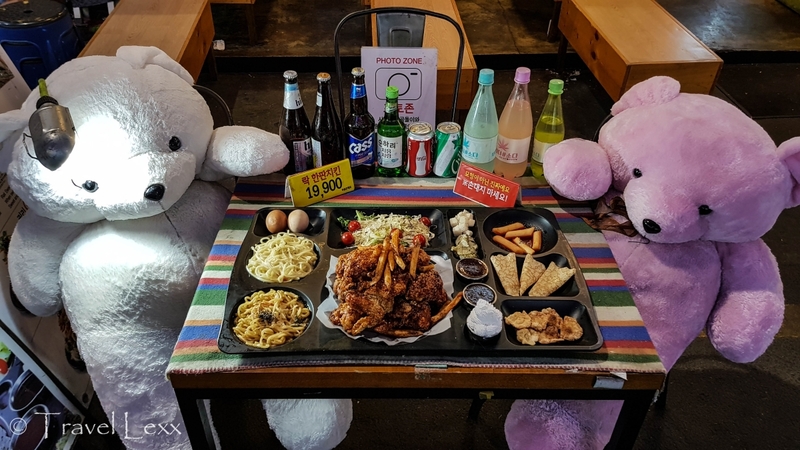 Splitting bills is not generally a thing in Korea and locals will often go out of their way to cover the cost of a meal! It is seen as polite and there are even arguments between multiple people who want to pay! 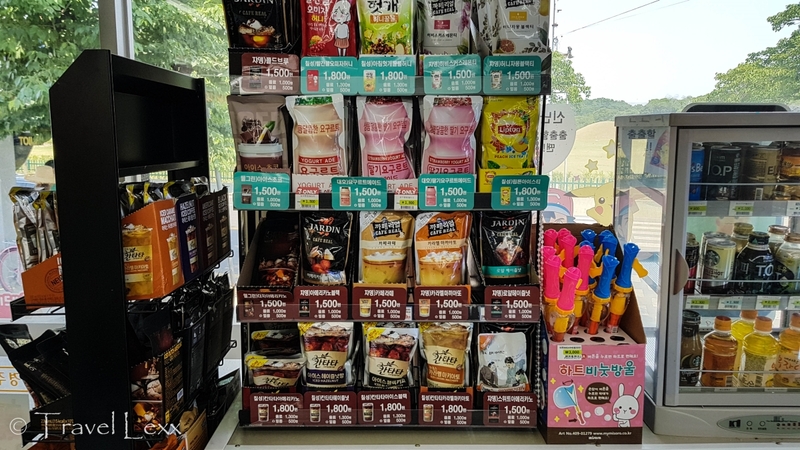 This entry was posted in South Korea and tagged coffee, convenience store, culture, food, hiking, internet, korea, travel. I haven’t been to Korea yet. You’ve made it look a lot of fun and easy to navigate. I’ll pin this for when I venture there. From the looks of this post, we are going to love Korea! Coffee at all hours, great food, and people fighting to pay our bill? We can live with that. 😉 Seriously, it looks awesome. Thanks for all of the great tips! Great tips! They are stronger than you think, will push you out of the way, jump ahead in the line you are in and beat you to the top of the mountain. Hahaha! Did not expect this! Strange that there aren’t enough rubbish bins. Loved this post. Hope to visit Korea some day! Gamsahamnida! Wow, these are really comprehensive tips for traveling to Korea. Thanks for sharing them! Practical and sensible tips to make the most out of ones’ Korea visit. I particularly fancy the one about using local transport. We try to do this at least partially in most places we travel to as this gets us close to the locals and their way of life. I agree and it’s pretty easy to get around even if you don’t speak the language! As you say, it’s a great way to have a local experience! Coffee is a massive part of the culture in Korea and as it’s also a very social one, coffee shops and restaurants become a natural place for people to come together. I have never seen so many coffee shops in one place! Thanks for sharing your insight! Right now I’m trying to speed learn as much Korean as I can before summer. Should’ve started earlier. You are doing much better than me! I didn’t manage to learn much before my trip! Went to Korea once, all I did was eat eat eat eat. Best trip ever. It’s a very valid reason to go! The food is incredible!